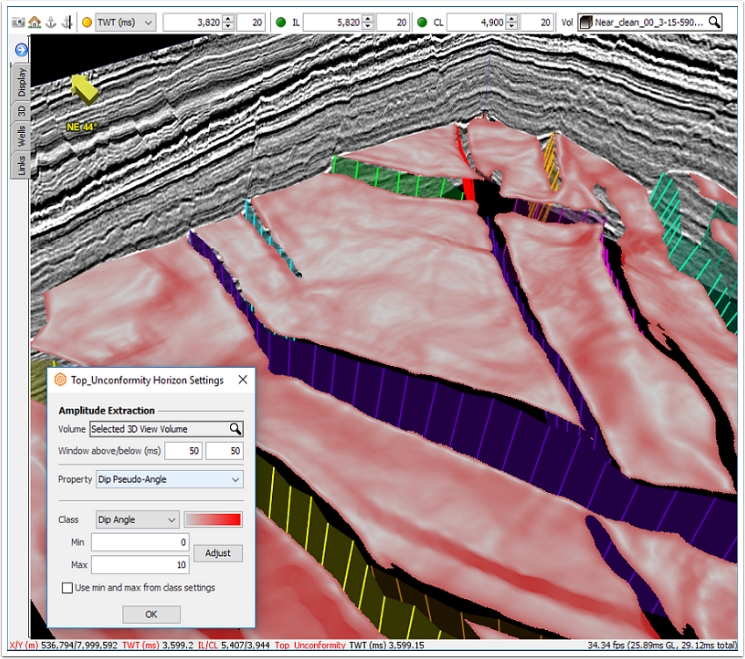 Easily create dramatic 3D displays of horizon properties in a few clicks! 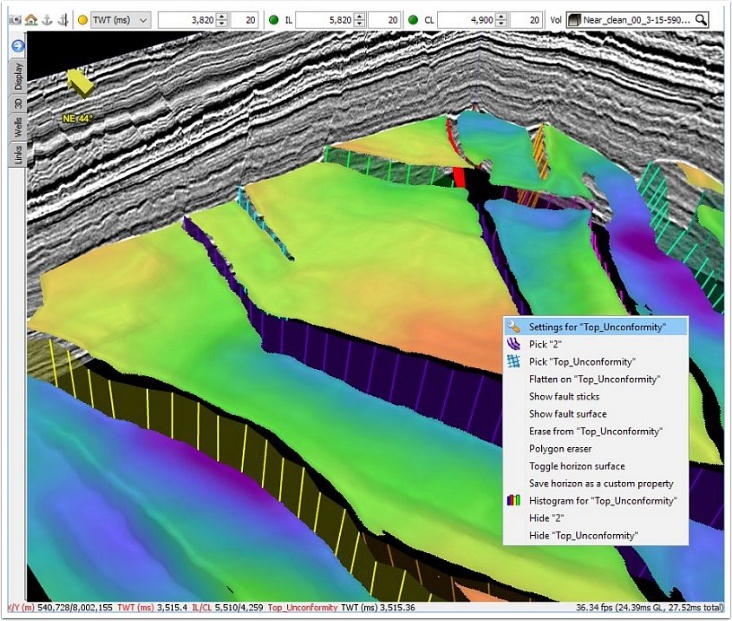 Display horizon properties taken from amplitude extractions or other horizon calculations to reveal depositional detail, structural complexity, or thickness variation over a structure. Open 3D View (Control Panel > View > 3D View). Right-click on the horizon in 3D view, select Settings for “horizon_name” to bring up the Horizon Settings window. In the Horizon Settings window, select the Property you would like to display. If you’re displaying a property extracted from a seismic volume, select that volume, then choose which property to display. Horizon attributes can be saved as custom properties for use later. To find out more on amplitude extractions in DUG-Insight, watch our quick video.